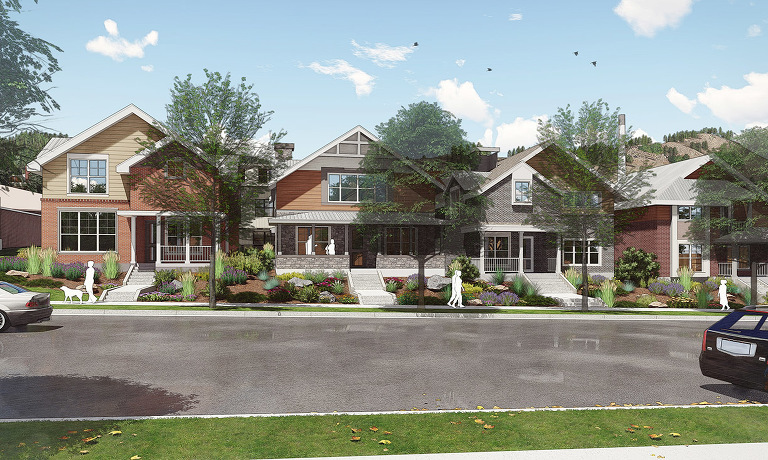 This exciting and challenging residential project is being masterplanned to provide for gracious aging place, in a breathtaking setting. 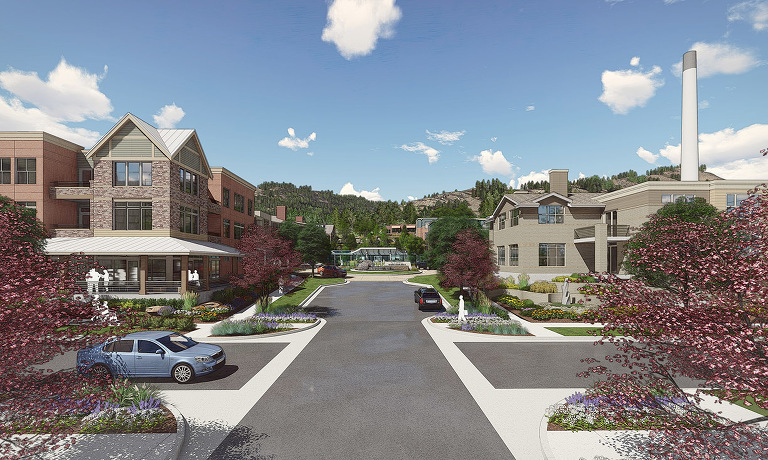 All 93 Independent Living units can be converted to Assisted Living units. 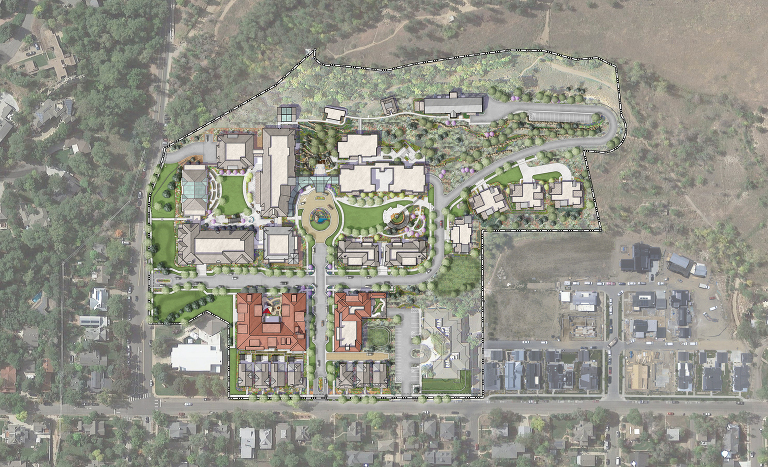 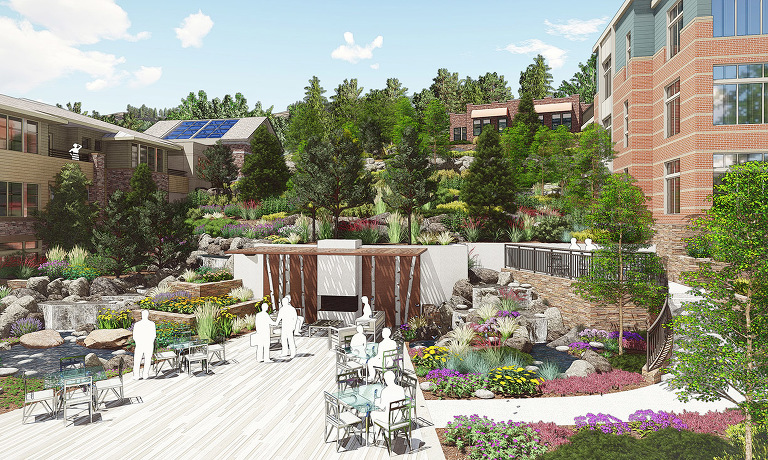 In addition, the project offers 42 Short-term Rehab units and a Memory Care facility, all located on a 14-acre sloped site sitting at the base of Mount Sanitas. 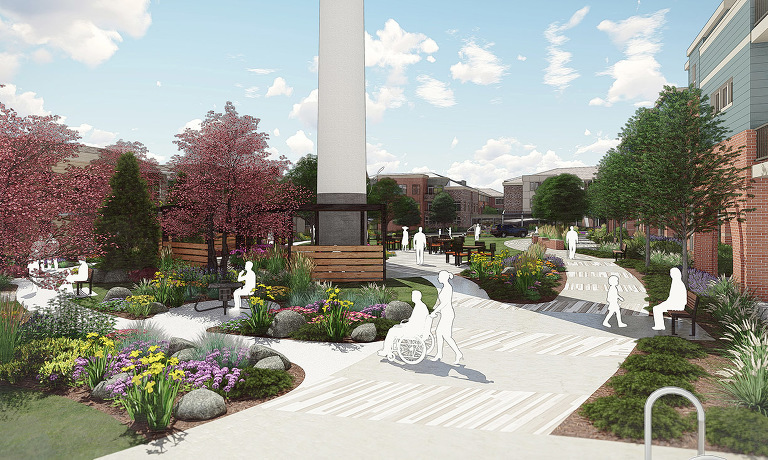 Amenities include a therapy pool, centrally-located Village Green, and extensive landscaped grounds for walking, gardening, relaxing and interacting with guests and fellow residents.